What is Pre-Collision Assist Technology? 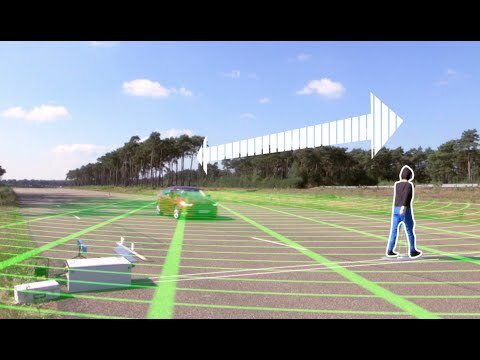 The new Ford Pre-Collision Assist with Pedestrian Detection Technology has been designed to reduce and event prevent accidents involving pedestrians from frontal impacts, utilising cutting edge features present on the latest Ford models, such as the Ford Mondeo. Simply explained, the system will give a warning to the driver if a pedestrian is detected and if the driver doesn’t respond, the vehicle’s brakes can be applied automatically. The Pre-Collision Assist technology operates using radar and camera technology. The road ahead is scanned by this equipment to monitor for obstructions, such as pedestrians. If the on-board systems calculate a collision, the driver is warned accordingly. If no action is taken by the driver, the technology can fully apply the brakes to help reduce the seriousness of the collision and in some cases even avoid it all together. The Pre-Collision technology is a fantastic way to help prevent rear end accidents which are extremely common. The initial audible and visual warning to the driver acts as the first stage, with the second stage being the technology bracing the braking system by moving the brake pads closer to the discs to reduce stopping time. Finally, if no action is taken, the technology will fully apply the brakes. The technology has a stored collection of pedestrian shapes which the windscreen mounted camera and front bumper radar scan for. This prevents the system from activating for regular roadside objects.